Your days of drinking clumpy protein and shaking cups up and down are over !!! This amazing Protein Shaker is powered by 9000rpm motor that tears through the thickest powders with ease. For athletes: Pre & Post workout nutrition. Mixes instantly and increased absorption. 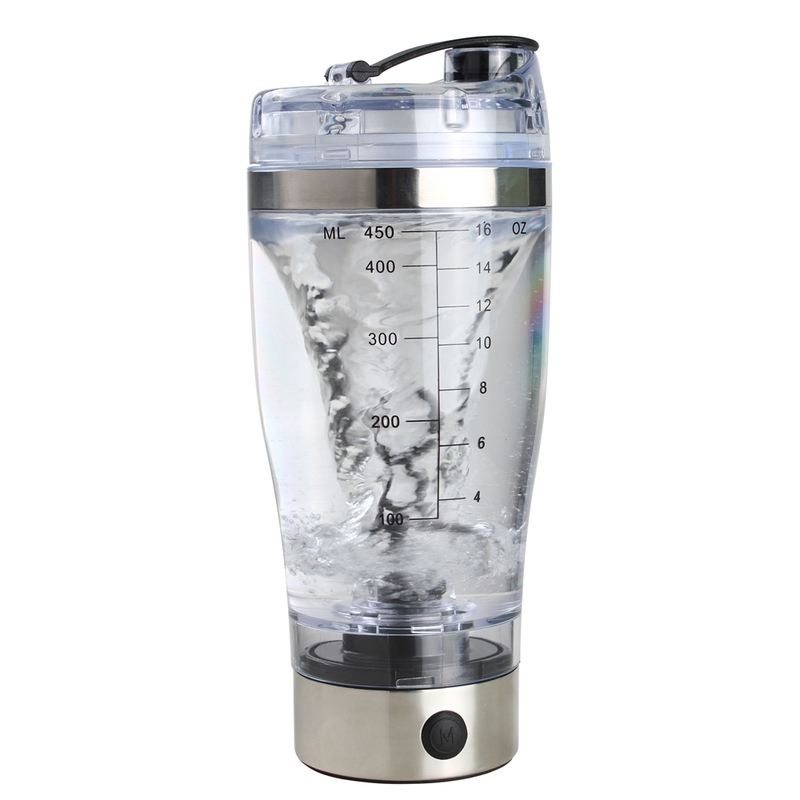 Add other ingredients to the vortex, portable mixer for instant mixing. I am happy to have this item and have not try use yet however; very soon I will be using it okay? So happy to have this anyway. Should also have something built with electrical plug In to make it easier and better too!! It now easy for me to mix my protein drink. Excellent love it . Wish it could do ices. Excellent i love the power on it on how it grinds and it is a good quality product.